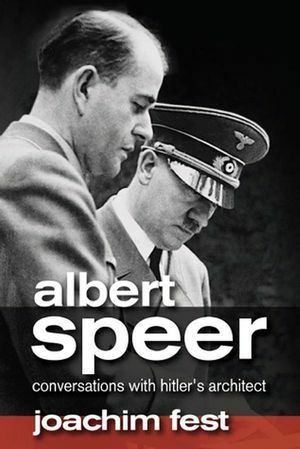 Albert Speer remains the most mysterious character of the leadership of the Nazi regime. He was the chief architect of the Third Reich and Adolf Hitler’s confidant. Speer built the “Reichskanzlei” (official offices), discovered the “Lightdome” and was finally, in 1942, named as the minister for arms. But he characterised himself as apolitical, called Hitler’s hatred of Jews an anomaly, and the conspirators of the 20th July placed Speer’s name on their cabinet list. "Of all the biographers and writers on the Third Reich, Joachim Fest was not only good at his craft, but also had the good fortune to be invited to act, as her describes it, as 'interrogating editor' for the best selling autobiography of Albert Speer. What he has done is to create the literary equivalent of a fly-on-the-wall documentary." "These conversations will be indispensable for specialists in the history of the Third Reich and fascism." 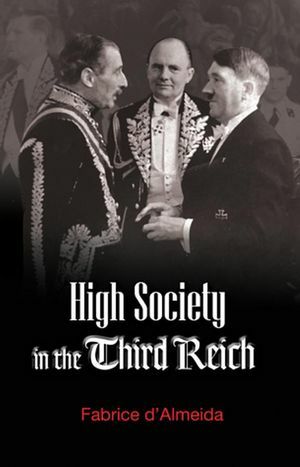 "In its poignancy, this book gives remarkable insights into three men: Hitler, as a consummate manipulator of people; Speer, as not particularly bright but vainglorious, weak, unremarkable and very lonely; and, not least, Fest himself, who proves tenacious and resourceful. He has convinced me with a work of brilliant analysis: the best study of Speer I know." "These diary-type notes by Joachim Fest, bestselling historian of the Third Reich, of his extensive conversations with Albert Speer make truly absorbing reading."